It was great to work alongside GBC’ers and others serving during last weekend’s Compassion mini clinic. 60 volunteers from 5 churches came together to serve 69 guests. The clinic provided: medical care, dental care, vision care, chiropractic, haircuts, and health plan assistance. Thank you for praying and for serving! NEW PA OF STUDENT MINISTRY!! I am very happy to announce that Jordan Bradley will be our next Student Ministry leader. After a lot of prayer and careful consideration, the student ministries search committee was delighted to recommend Jordan for the job. I made the offer this week and Jordan and his lovely wife Taylor excitedly accepted. Click HERE to view his resume. Jordan will start early March. Oh man, it’s almost brunch Sunday. The Christmas brunch is an annual highlight. Please remember that our kids have big appetites after church and that we invite visitors to stay for the brunch following the service. All that to say, please bring bountiful dishes to share. Below are dish suggestions by last name. Please do not bring any items containing nuts or nutmeg. **We are in need of volunteers for set up and clean up. Email Michelle Waggoner to sign up. 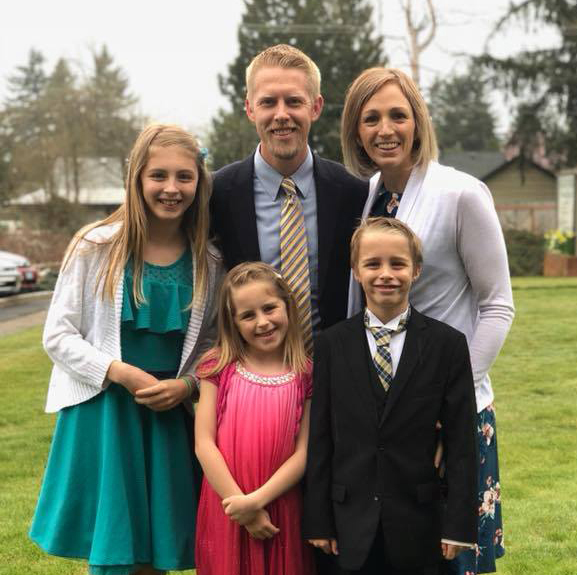 As 2018 comes to a close, I want to ask you to consider giving a generous gift to Gresham Bible Church. Your generosity funds God’s purposes in and through GBC and stores up treasure in our eternal 401(k). All gifts must be received or postmarked by December 31st. The vision of our operations ministry is to create a welcoming environment for outsiders and a worshipful environment for insiders. Each week guys in our church show up early and stay late, setting up and tearing down. This is not a spotlight ministry so it’s easy to forget just how essential operations is to the overall ministry of the church. Please join me in showing appreciation for the men who serve us all each Sunday. Due to shortened class time in Greenhouse on up, memory verses can be said to Lisa or Megan immediately after service this week! Also, our GBC kids who are in Greenhouse on up will be singing Dec 23rd! Only Nursery & Seeds will have class that day. This Saturday, December 15th 1-3pm in the Study. Every student needs to bring 2 dozen cookies for our invitation boxes. We will assemble the boxes at 1pm with cookies and a flyer invitation to our Christmas service on December 23rd. The students will then be driven by a GBC adult to the neighborhood around Dexter to hand them out. Students will be back to the study by 3pm for pickup. High School – December 16th, 630-8pm. Wear your fun Christmas favorites like hats, socks, scarves or sweaters. Bring a $5 wrapped gift to exchange, white elephant style (a fun gift someone would enjoy). There will be Christmas treats and pizza! Feel free to bring a peanut/tree nut free cookie or treat to share too! Jr. High – December 17th, 630-8pm. There will be pizza and a white elephant gift exchange (value not to exceed $5). Prizes will be given to the most festive/creative Christmas outfits. Parents and families are welcome to stay and enjoy the festivities – an RSVP helps us plan for food/food allergies. Please RSVP on the Facebook page. And don't forget to bring a friend!! Angela Stump is doing a fantastic job leading our women's ministry. Lots of our ladies are growing in Christ and growing in relationship with one another. Here are few photos from the WM Christmas party. The Details: We will be assembling cookie boxes at 1pm with cookies and a flyer invitation to our Christmas service on December 23rd. The students will then be driven by a GBC adult to the neighborhood around Dexter to hand them out. Students will be back to the study by 3pm for pickup. December 17th 630-8pm. There will be pizza and a white elephant gift exchange (value not to exceed $10). Prizes will be given to the most festive/creative Christmas outfits. Parents and families are welcome to stay and enjoy the festivities – an RSVP helps us plan for food/food allergies. Please RSVP on the Facebook page. And don't forget to bring a friend!! December 16th 630-8pm. Wear your fun Christmas favorites like hats, socks, scarves or sweaters. Bring a $5 wrapped gift to exchange, white elephant style (a fun gift someone would enjoy). There will be Christmas treats and pizza! Feel free to bring a peanut/tree nut free cookie or treat to share too! Please help your children prepare for our Christmas program on December 23rd. You can find the videos on Facebook or follow the links below to listen to the songs. Emial Noel to receive a copy of the latest church directory. This coming Sunday marks the beginning of advent. In advent, we look forward to our Savior’s second coming even as we prepare to celebrate his first coming at Christmas. In this season we keep in mind both “advents” of Christ, the first in Bethlehem and the second yet to come. Follow this LINK to read why and how we practice advent. Email Noel to receive a copy of the latest church directory. There are 345 souls to lift up in prayer and to become more familiar with. Please be praying for the December 8th Compassion Clinic in Gresham. This is a sweet opportunity to show Christ's love for our neighbors. Pray that along with alleviating basic needs, that the hearts of those served will be warmed toward God. There is still space if you would like to volunteer. Email Jenn Hudson if you are interested. What to bring: Each student should bring 2 dozen cookies to the event (preferably homemade). What we'll be doing: We will assemble the outreach boxes at 1pm with cookies and a flyer invitation to our Christmas service on December 23rd. The students will then be driven by a GBC adult to the neighborhood around Dexter to hand out the baskets/invitations. Parent Consent Form: If you will be dropping your student off, please fill out this form and send it with your student. We will also have extra forms available at the event. Pick Up: We will be back by 3pm in the Study for parent pick up. Mark your calendars: Christmas Brunch, December 16th following our morning service. 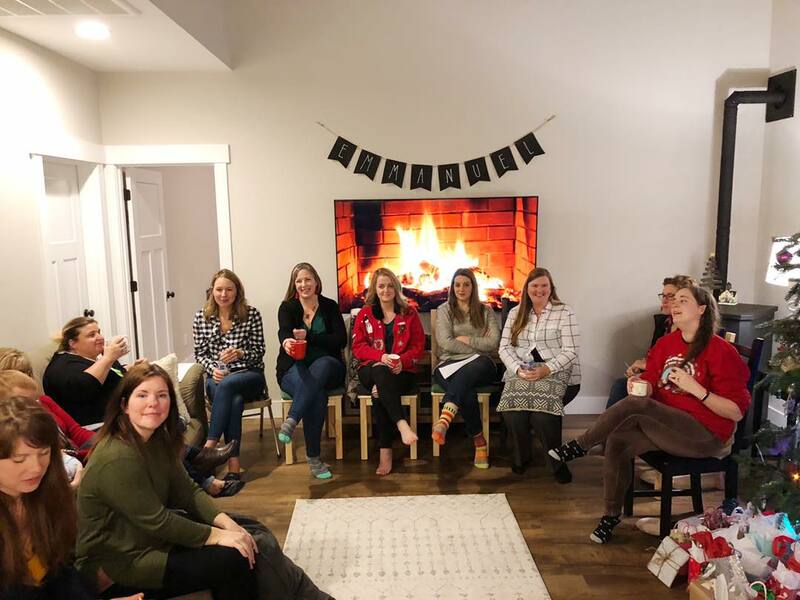 Our Women's Ministry Christmas party is only a few days away! 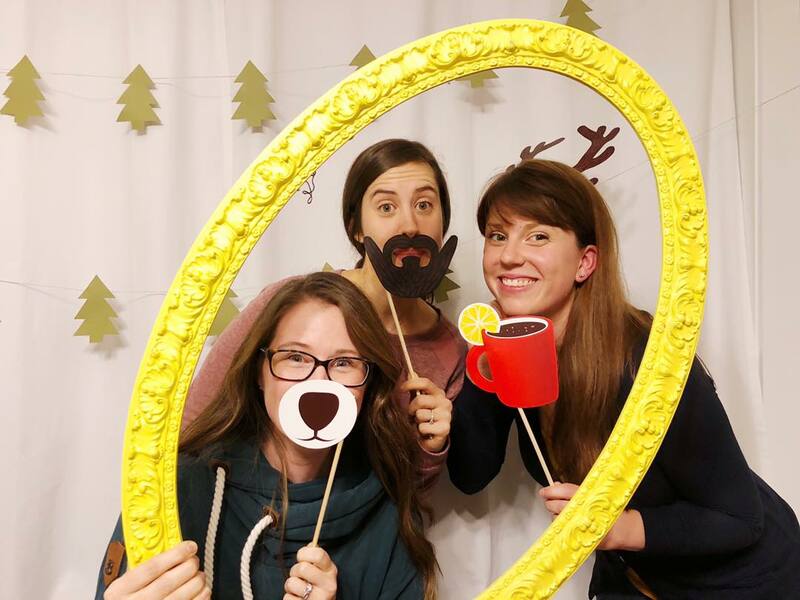 Join us Saturday December 1 at 6:30pm at Courtney Willard's house (18945 SE Wenmot Ln, Eagle Creek) It's an ornament exchange and a cookie exchange (NO nuts/nutmeg please!) Because who doesn't love ornaments and cookies? Neither exchange is mandatory, so even if you can't–or don't want to–participate, please come anyway! There will be lots of appetizers, a coffee and hot chocolate bar and lots of great fellowship so please don't miss it. RSVP and read the details on the Evite. About 1/3 of the Psalms are songs/prayers of lament. There is a book of the Bible called Lamentations. God expects and encourages us to cast our burdens upon him because he cares for us. The Lord also expects that even in difficult times that we will have grateful hearts. I recently read an excellent article from our friends at Eternal Perspective Ministries on "The Blessing of Gratitude, the Curse of Complaining." As we approach Thanksgiving, consider this 12 point cure for complaining. Because of God's goodness we have many reasons to give thanks. Advent! Our resource table will have sample Advent resources for you to review this week! Click here to see a list of Advent Resources! Dreaming! Children’s ministry is praying for some small group leaders to serve once a month! We also would love to add a teacher to our team! Interested? Email Lisa or Megan OR talk to us Sunday! Abide Study Celebration! Over 50 of us are nearing the end of our 123 John study, "Abide" and I want all of our groups to celebrate together when we're done! Join us for breakfast on Saturday December 15, from 8:30-10am in The Study (GBC office, suite 110). I'll provide the food and coffee. December 16th following the morning service. Please do not bring any items containing nuts. NO High School Group this Sunday Nov. 25th. Will resume Dec 2nd. Piggybacking off of last week’s sermon, GBC’s Elders and their wives held a Marriage Symposium this week in lieu of a sermon. I want to commend a superb article by Russell Moore that was written in response to the deadliest attack on Jewish people in American history, If You Hate Jews, You Hate Jesus. Moore does a great job of showing how the Jewish heritage of Jesus is an important part of our redemption story. A few GBC families have spent the past few years serving Chinese pilot students in Troutdale. China is becoming increasingly hostile toward the gospel so it is a great opportunity to have them here in America for 1-2 years of training. There are a lot of students who aren't matched up with a volunteer family and we'd love to get those young men into Christian homes to experience Thanksgiving in a loving and hospitable environment. 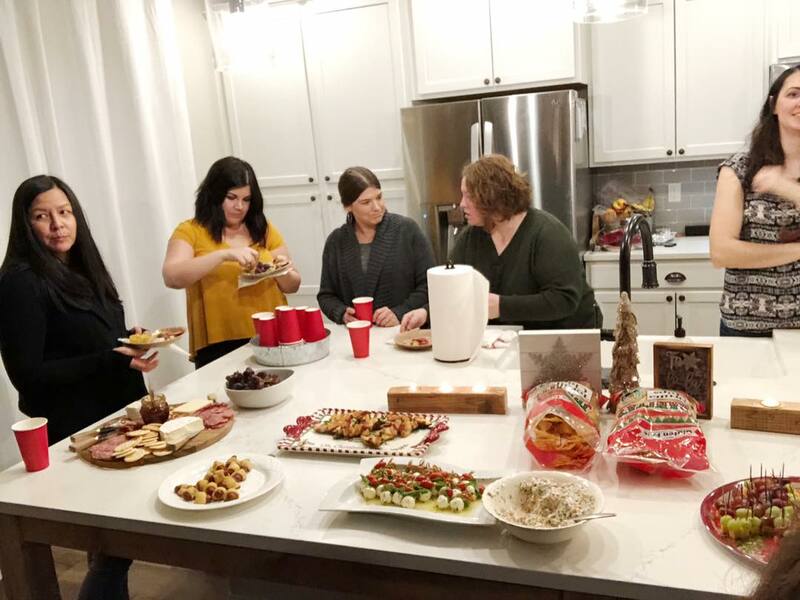 If anyone is able to welcome a few of these students to their holiday gathering, please contact Kerry and Josie Sinclair at kerry-josie@juno.com or 503-251-4779. Middle school group is taking the next 2 Mondays off. It will resume Nov 26th. The time will also be changing to 6:30-8pm for the remainder of the school year. Dexter McCarty teacher appreciation meal – November 19th. Follow this link to sign up to bring something. 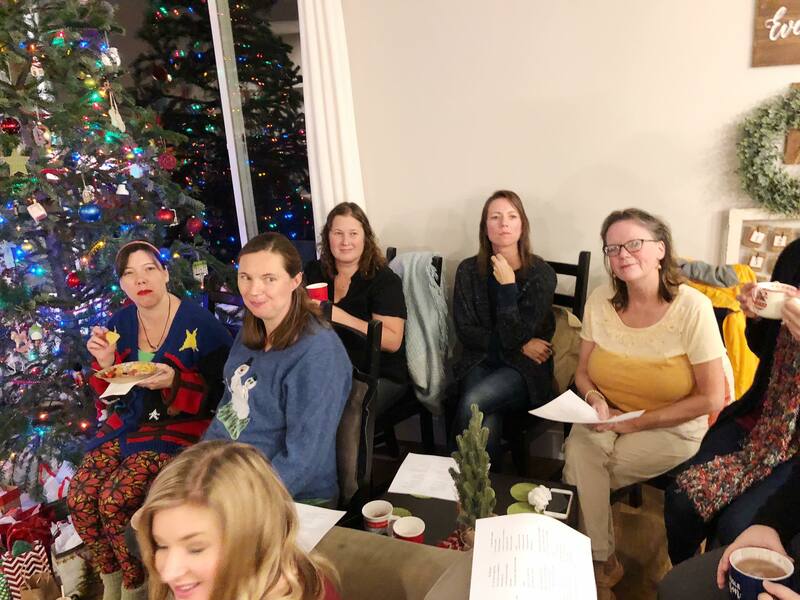 Women's Ministry Christmas party – December 1st. Click on the link to see the Evite. The next four weeks in our study of Ephesians will center on the Christian home. The first two weeks will focus on marriage. GBC holds a biblical view of marriage and gender. I recommend reading GBC's position paper on Marriage and Homosexuality as a primer. We are thinking of changing up our annual Camp Out and would like to get your feedback. Do us a favor and follow this link to take a short survey. Daylight savings time ends this coming Sunday – Remember to turn your clocks back on Saturday night. Beginning this Sunday, High School group will end at 8pm (instead of 830pm). Going forward High School group will be on Sunday's from 630-8pm. Student Ministry Team meeting – This Sunday, November 4th 1-3pm in the Study. Pizza is provided. Thank you so much for your hard work and generosity; the Cider Press was a huge success! We made a lot of cider, we raised a lot of money for adoptive families, and we had a great time working alongside each other. I am very much looking forward to our next member meeting. Lord willing, we will take in about 20 new members, you'll hear ministry updates from staff & leaders, I will share about an exciting opportunity to enlarge our flex space and we will sing together and confess our church creed. For members these meetings are a big deal. Please save the space on your calendar and make plans to attend. I trust that the meeting will be unifying and edifying. We have a lot of resources in the office that you are welcome to borrow, but we do eventually need them back. Presently, we have a small group that would like to use GBC's "Love & Respect" DVD series. If you by chance have it, please return it to Noel at your earliest convenience. Sunday, November 4th, 1-3pm in the Study. Pizza will be provided. This coming Sunday at 3pm (in Good Shepherd's summit room) we will gather to honor, remember and celebrate the life of Bud Snavely. Our sister Sandy would of course appreciate your presence. The bulk of our update this week is about our annual cider press for Pressing Needs. 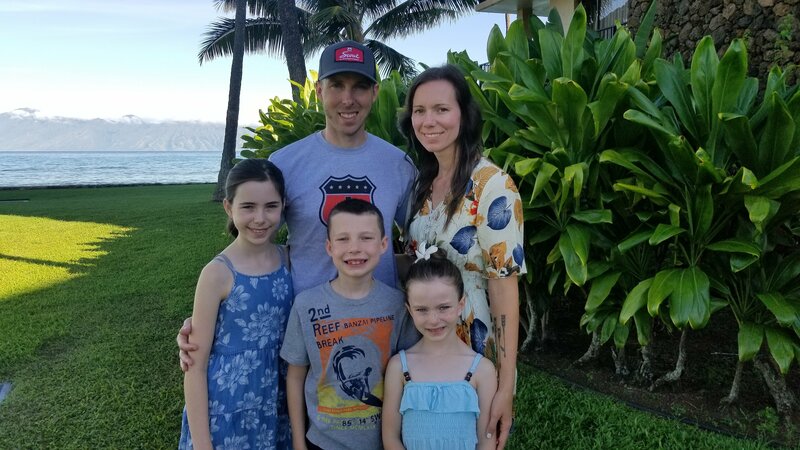 Pressing Needs Cider Press is an annual event of Gresham Bible Church which highlights what God is doing through adoption/foster care in our community and financially supports those in the process of adoption. Since 2012 the event has raised over $50,000 and has helped six children find a forever home! Please visit here for their full stories. Volunteer and Help Us Press Cider!! It's important that we have a strong turnout for both of these days in order for us to be able to press all of the cider. Please use the form below to let us know when you can help out! Be sure to visit pressingneeds.org to pre-order or sign up to volunteer. We have officially begun our search for GBC's next pastoral assistant of student ministries! Please pray that God would give us discernment and that the Lord would provide an excellent match for our ministry needs. Click HERE to view the job description. Also, please spread the word about our search. Beginning this Fall we will join together with other Gresham area churches to host a free mobile health clinic called Compassion Gresham. These "mini-clinics" are designed to unite churches together to serve their neighbors through health care. Service opportunities are for anyone (no health care background needed), however if you are a health professional then this a perfect opportunity for you! We are seeking at least one person who can serve as a liaison for GBC. If you are interested in learning how you can serve please email Noel. Please join us next week October 16th 7-9pm in the Study for our next Women's Ministry Bible study. 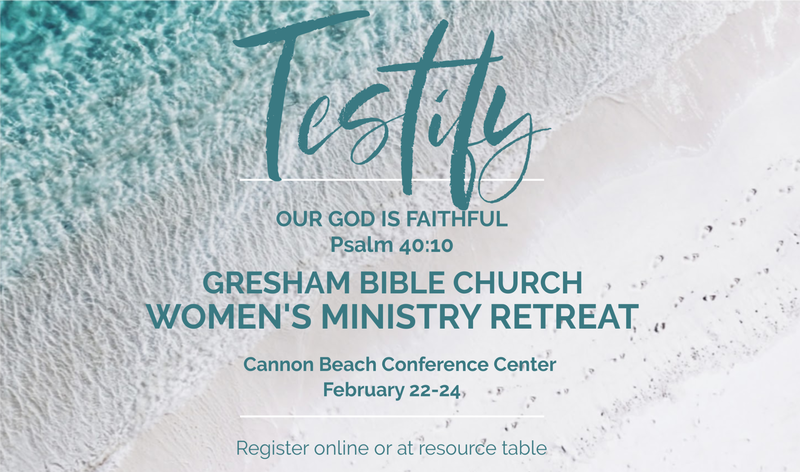 We'll enjoy a time of fellowship and encouragement from other women at GBC through worship and testimonies. We will be having our next baptism class this coming Sunday directly following our service in the Orchard room (about 30 minutes). This class is for people ready to public with their faith and for folks interested in learning more about baptism. Please be sure to sign up to volunteer or reserve your cider! Visit the website here. There will also be sign up sheets available this Sunday.